The dataset includes data for Disabled beneficiaries repricing adjustments to the 2010-2014 uncompensated care reimbursement by state and county of residence. Medicare Fee-For-Service (FFS) data for each county broken down by aged, disabled, and end-stage renal disease (ESRD) beneficiaries. The historical claims data for 2010 through 2014 is used to rebase the Medicare Advantage (MA) Fee-For-Service (FFS) capitation rate book for 2017. The historical claims data is rebased to reflect the most current wage and cost indices, repriced the claims to account for the changes made by the Affordable Care Act (ACA) to payments to disproportionate share hospitals, and also repriced durable medical equipment claims to account for the change in prices associated with the competitive bid program. The adjusted or repriced spreadsheets for Aged and Disabled reflect the annual impact of the repricing of 2010-2014 FFS claims. The institutional claims – acute inpatient hospital, skilled nursing facility, hospital outpatient, home health agency, and physician – reflect the repricing of the original claims with the current wage index / geographic practice cost index (GPCI). 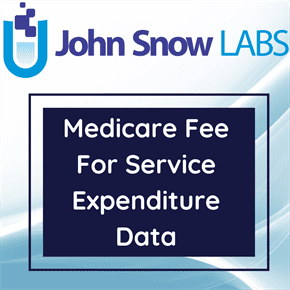 Medicare Fee-For-Service (FFS) data for each county broken down by aged, disabled, and end-stage renal disease (ESRD) beneficiaries including data on total Medicare fee-for-service reimbursement and enrollment for Parts A and B, the corresponding per capita reimbursement, for Part A, reimbursement for direct (DME) and indirect medical education (IME) expenditures and disproportionate share expenditures (DSH), and the per capita expenditures with the medical education and disproportionate share expenditures removed. Adjustments have also been made to reflect the transition of disproportionate share hospital (DSH) payments to uncompensated care payments (UCP). The effects of competitive bidding for durable medical equipment (DME) are reflected in the corresponding adjustment file. An additional adjustment to 2012, 2013, and 2014 claims to account for shared savings payments and shared losses are made to Medicare Shared Savings Program (MSSP) Accountable Care Organizations (ACO) and Pioneer ACOs. Dataset includes Disabled beneficiaries repricing adjustments to the 2010-2014 uncompensated care reimbursement data to reflect the most current rules (Disproportionate Share Repriced To Uncompensated Care Until September 2013) (Data cells with less than 11 beneficiaries have been suppressed for privacy).